September 2017 – Tips on Marketing, Mindset, NLP, Cryptocurrencies and Blockchain, Trading and Technology. CryptoCurrency Tutorial – 8 What Does The Crypto Future Hold? Looking forward, one of the most important things to consider is that cryptocurrencies are still in their infancy, the technologies are still changing and new coins are being released all the time. Researchers and developers are continually looking for new uses for blockchain technology and new companies are being formed to take advantage of these developments. Although there is a lot of press coverage surrounding Bitcoin’s price fluctuations, I suspect we have not yet seen the ‘Bitcoin killer’ – although Ethereum is a very interesting development due to how developers can build applications for the platform. Bitcoin is by far the most widely adopted platform and every coin will be judged against it for the foreseeable future. Blockchain technology will continue to evolve, transactions will likely become faster and as more serious competition enters the scene, I expect we will see new features, larger rewards for mining and lower transaction fees. I am very excited to see how the crypto scene matures and evolves over time, and one thing I’m certain of is that crypto is here to stay. Coins will come and go, new technologies will be created to solve problems in new ways and as more businesses begin to accept cryptocurrencies, they will become more mainstream. One exciting use of blockchain technology that has been proposed is its use in elections. There is always debate about the validity of voting results and the current system is regularly criticised for having been manipulated due to ‘losing’ votes from certain demographics. Another shortcoming of the current system is that it requires a lot of time and manpower to count votes. If voting was done on a blockchain, all results would be verified, instantly visible and unchangeable – there would be no need for humans to get involved in counting, recounting and verifying the votes – this would save time and money, and as soon as voting was closed, the results would be known. Now you have a good understanding of crypto and the surrounding technologies, you should feel confident joining in discussions where you can learn more, ask relevant questions and get involved with mining or investing. Over time, I will be releasing additional guides on various elements of cryptocurrencies, and I will keep you updated as each becomes available. Your feedback is welcome and I would love to know if you have any questions about this material – join me at my new Facebook Crypto Community to see what else I’m sharing and find out crypto news and tips. Thanks for reading and see you in the group. CryptoCurrency Tutorial – 7 What Are The Benefits and Risks of Crypto? It is important to know the benefits and risks of any new technology, especially if you are considering dedicating resources to it or investing in it. Speed – one of the major benefits when sending or receiving crypto is speed, while banks and other payment methods can take days to process payments (especially international payments), most crypto transactions are confirmed within minutes of a payment being sent. As soon as the payment is confirmed, it is available in your digital wallet ready to be used. Privacy – one of the founding principles of Bitcoin is anonymity. Payments are sent to your Bitcoin address without any other identifying information attached to them. There are no forms to fill out when sending or receiving payments, which makes cryptocurrencies very attractive to those wishing to remain anonymous. As more people are beginning to take their privacy more seriously, especially online, more and more of them will look towards crypto as a way to protect their privacy. Smaller transaction fees – when sending funds through a third party, there is often a fairly large transaction fee involved and sometimes you pay unfavourable exchange rates plus fees on top. Some fees are as high as 10%. Bitcoin removes the third party from the transaction, meaning payments are sent directly from the sender to the recipient. This allows for much smaller transaction fees. Some additional fees are still payable where a third party becomes involved, for example, when exchanging your Bitcoin to your local currency. However, as competition increases and crypto is more widely adopted, it is likely that these fees will also come down over time. Secure – the blockchain is designed in such a way that it cannot be altered, it is a permanent record of transactions which have taken place and frequently checked by multiple nodes on the network. New transactions are verified by multiple nodes and cryptographically signed. No central control – Because the blockchain is distributed, there is no single point of failure and no third party controls it – if it were centralised, it could potentially be open to hacking, espionage, bribery or malicious acts by a disgruntled employee, or manipulation by banks or government. The open, distributed nature of crypto protects against all these things. Bitcoin is open source, which means everybody has access to the code and workings of the software. Members of the community get to propose changes and improvements, and if a consensus is reached, those improvements can be added to the code. 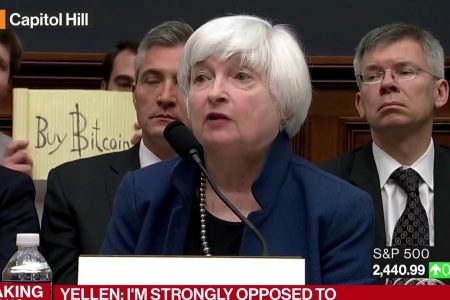 Bitcoin was created at a time when the world was in financial crisis, governments were printing money at will (quantitative easing), banks in some countries were preventing people from accessing funds in their accounts and some people even had money removed from their account (referred to as a ‘hair-cut’). Transparency – the blockchain is a permanent public record: every node on the network has access to it, meaning it cannot be manipulated by a third party. Everything happens in the open and decisions are made by consensus. The whole system is built on trust. Accessibility – Billions of individuals in developing countries have no access to a bank account, even though many of them have some form of internet access. cryptocurrencies essentially allow people who would otherwise have no access to funds to be able to accept and make payments. Price volatility – the value of any asset will fluctuate over time. We are in a period where cryptocurrencies are receiving a huge amount of press attention, new investors and traders are getting involved in crypto every day and the price to convert crypto to your local currency can change quickly. Cost of mining increasing (difficulty) – as more nodes are added to the mining pool, the probability of earning rewards for mining can decrease. As the combined processing power of the pool increases, the difficulty of mining must increase to ensure a consistent release of Bitcoin (or other crypto) as blocks are added to the blockchain. This means that mining the more popular coins can become less profitable over time. New cryptos being created – new coins are being created all the time, some will succeed and create value while others will fail and lose all their value. Buying or mining new coins does carry some risk, which is why it is important to research and to not put all your eggs in one basket. Now you understand a little more about cryptocurrencies, you may be wondering how you can get involved. In this chapter we will discuss a little more about mining, wallets, buying crypto, getting paid in crypto, investing and trading. Plus a couple of other opportunities that I think deserve discussion. I will be covering crypto mining in great detail in another report, but here is a brief rundown on how you can get involved. Before you consider mining crypto, one of the first things you will need to know is: will it be profitable? This is a difficult question to answer, seeing as the value of any given cryptocurrency changes frequently, but the short answer is – mining can be profitable. There are two main costs involved when mining crypto: electricity and equipment. Equipment is a one-off cost, if you already have a reasonably powerful PC with a decent graphics card, you may already have everything you need. Note that electricity is an ongoing cost which must be taken into consideration when mining. The graphics card in your PC is designed to make very fast calculations to render 3D graphics in real-time, the same power can be utilised for the calculations necessary to mine cryptocurrencies. As a general rule of thumb, the faster your graphics card, the more efficient it will be at mining – however, more powerful graphics cards require more electricity, which is why it is important to factor in electricity costs. Electricity costs are calculated in terms of kilowatts per hour (KW/h) and you usually pay a set amount per KW/h – say $0.12 – which is known as the unit price. This means that every kilowatt you use will cost you $0.12 per hour. Your utility bills should give you an indication of your own unit price. If you are serious about mining, your PC will usually be running calculations 24 hours per day. Some gamers run mining software while they’re not using the PC. There are plenty of profitability calculators online which can give you an idea of whether your PC is likely to yield profit. Most allow you to input details of your graphics card, processor and electricity unit price then calculate the profit based on current rates of exchange. Once you’ve determined whether you can make a profit mining with your PC, the next step is to choose a cryptocurrency to mine. As we’ve already discussed, some coins are designed to be mined with dedicated mining hardware (ASICs) while others are designed to be mined using more typical PC equipment. Sites like whattomine.com can help you work out which crypto will be worthwhile based on your own mining set up and electricity costs. For many coins, there is a lot of competition for the block reward – there are thousands, and in some cases hundreds of thousands of nodes on the network all trying to find the solution to the mathematical problem which means the probability of your individual machine solving the problem can be close to zero. For some people this puts them off mining altogether, however, this issue is a relatively minor one and developers have come up with an ingenious solution. If the level of competition and difficulty of mining a coin are too high, this effectively prices individuals out of the market. To solve this problem you can join a mining pool. A mining pool is a network of individual nodes which share their processing power: when any of the individual nodes in a pool successfully mines a block, the pool shares the reward among all the participants. The easiest way to think of mining pools is like a lottery syndicate, everybody shares the cost of buying multiple lottery tickets and any winnings are shared between members of the syndicate – but in the case of crypto mining pools, there is no ticket to buy, each participant provides processing power. The reward is usually divided in proportion to the amount of processing power each node supplies. Now you understand how a mining pool works and have chosen a coin to mine, you download the necessary mining software and install it on your computer. We will not go into the details of installing or choosing software in this report as each will come with installation instructions and often a community forum where you can ask questions. With your software installed, it will be necessary to run it, then enter your wallet address (discussed in the next section). Your computer will then become a node on the network and your mining journey has begun. Although we have covered the basics and getting started, there is a lot more to know about mining and increasing your return on investment (ROI) – I will be covering these elements in another report. Before you can store your cryptocurrency, you will need to store them. Cash is stored in a wallet, likewise Bitcoin and other cryptocurrencies are stored in a digital wallet. A digital wallet doesn’t actually store physical coins – so how do they work? As you already know, although you own Bitcoin, it merely exists as code in a public ledger – each entry in the ledger contains among other things, the amount of Bitcoin sent or received, who sent them and who they were sent to. To identify sender and receiver, names and addresses are not stored in the database, a Bitcoin address is used instead. Your Bitcoin address is a unique identifier which also serves as a public key. Public key is a term used in cryptography which describes a method of securing information. In simple terms, a ‘public key’ is used to encrypt the data, while a ‘private key’ is combined with the public key to decrypt it. Using this system, the public key can be shared across the network along with the data. The data can only be decrypted by the intended recipient who has the private key. A digital wallet holds your private keys, which are used to access your Bitcoin address – almost like a password that is combined with your username to log into a website. Only you have access to your private keys, which means only you have access to your cryptocurrency. Software wallets – these are small computer programs that you run on your own computer, your keys are stored on your own computer and you can back them up to an external device such as a USB key. Online wallet – these wallets are cloud based, and give you access to your private keys on any device. Access is protected by password, however, this solution relies on the company to secure your data and also to stay in business. If for any reason access to your online wallet is discontinued, you may no longer have access to your keys. Some online wallets are connected to exchanges and allow you to buy and sell crypto in addition to storing your keys. Mobile wallet – these are apps which you install on a mobile device and can often be used to make mobile payments where cryptocurrency is accepted. Most mobile wallets are provided by exchanges and online wallet companies to make accessing their services easier on the move. Hardware wallet – these dedicated devices are often similar to USB keys, they store your private keys and can be kept with you. There is of course a risk of misplacing a hardware wallet or having them stolen, which is why some investors store them in safety deposit boxes. Paper wallets – a private key is simply a code which is used to decrypt data, therefore it is entirely possible to print it and keep it in a file (or more sensibly, a safe). Copies can be kept at other locations to protect against fire and other risks. Just a word of warning, without your private keys, you will have no access to your crypto – it is important that you keep control of them and protect against data corruption, hacking and losing them. It is always a good idea to keep a hard copy of your keys in a safe place at a different location, so that even if a fire destroys your computer and backups at your home, you still have another backup elsewhere. The most important piece of advice I can give you is this: never let someone else have control of your digital wallet. When someone else has access to your private keys, you give up control of your security. If you are storing your Bitcoin with an exchange or in the cloud, it is possible they could be hacked, shut down or in some cases, refuse to give you access to your own money. It has happened in the past, and it will likely happen again – by keeping control of your own crypto wallet you reduce the risk of losing your crypto. Once you have your own digital wallet, you can buy and sell crypto. Buying and selling is usually done through an exchange where you can link to your bank account or purchase using a credit card. Once you have an account, you can buy crypto with your own local currency using your payment method of choice. Alternatively, you can exchange one crypto for another, for example Bitcoin for Litecoin. It can take a short while for the funds to appear in your wallet, depending which cryptocurrency you are buying and the speed of processing transactions in the blockchain. Bitcoin, Ether and Litecoin are usually the most widely available for trade. If you want to trade smaller cryptocurrencies (altcoins) you may need to find an exchange where they are traded against larger cryptocurrencies. The coinmarketcap website will allow you to identify where you can trade altcoins: a Google search will reveal other results. The current price of Bitcoin at the time of writing is around $13000 USD, because it is a digital currency you don’t have to buy a full Bitcoin – you can buy just a small fraction – this is the same for most other digital currencies. Named after Satoshi Nakamoto, a one hundred millionth of a Bitcoin is known as a “Satoshi”. As mentioned before, it is important to protect your coins. Keeping a balance at an exchange, while convenient, may expose you to unnecessary risks from malicious activity. Wherever possible, store your coins in the most secure manner. If you want to accept Bitcoin for products and services online, the process is quite simple. You will need to use a payment processing provider and open a Bitcoin account with them. There are three main providers: BitPay, Coinify and BitcoinPay – each offer different services and have different fee structures, before you sign up to one of the services you should familiarise yourself with their terms and make sure they meet your requirements. Once you have an account with one of the providers, you will need to enter details to remove some transaction restrictions – these restrictions are in place to protect the service from criminal activity and being shut down by authorities. Restrictions are usually removed when you provide name, address and ID, or for businesses, further details of incorporation. Most payment processing providers give you instructions on how to integrate payments with your website, or provide apps so you can accept payments in person. More advanced developers will be able to use APIs and code their own integration, however, providers offer plugins to integrate their services with most major online shopping carts. When you receive a payment, you have the option of converting into your local currency and depositing it into your bank account – alternatively your Bitcoin can be kept in your own wallet. Technically, investing in crypto is the same as buying – however, investors usually buy an asset with the assumption that it will appreciate in value over a period of time. There are long term investments and short term investments. In most cases, investors are not concerned with day to day fluctuations in the price of an asset, they study a trend and invest in the asset with a set timeline in mind. With Bitcoin for example, there is a finite amount of coins that will ever be mined, for this reason investors believe the price will continue to rise in the long term. Other factors may affect the price of a digital currency such as wider acceptance in the marketplace. Keep up to date with news and watch how it affects prices over the long term. I recommend spending some time learning how to minimise your risk while increasing your return on investment. As with all investing, there are risks involved – if you plan to invest in crypto, I highly recommend doing your research and only invest what you can afford to lose in order to limit your exposure to risk. Although I have a history as a trader and I enjoy trading with crypto, my main aim is to invest in the technology. If you like trading, you can certainly do that and most of the big exchanges will let you trade. Once you have an account with one (or more) of the exchanges, you have everything you need to begin trading. Trading with crypto is very interesting because you are not subject to the normal opening and closing times like you are when you trade stocks and shares – this means that crypto trading can be done 24/7. Each exchange may show price differences between coins, which leaves you with arbitrage opportunities. Trading specifics are outside of the scope of this report, but if you want to learn how to trade, crypto is a great way to get started – I recommend starting with a very small initial investment to learn the ropes and not to get carried away. Once again, it is important that you only invest what you can afford to lose. Crypto trading is highly speculative and the sheer number of coins available across the various platforms make it difficult to decide where to put your focus as a beginner. Yes, multi-level-marketing has hit the crypto-sphere too. There are a few MLM programs that have emerged on the crypto scene with cryptocurrency as their main focus. Due to their nature and rapid expansion, you are likely to hear about MLM opportunities all over the internet. In typical MLM style you can attend seminars where there will be someone on stage telling you how you can make millions and get a special deal if you sign up right now, and if you sign up friends and family you get a cut of their package fees too. That’s all I’ll say here – do your own research. Ok, that’s that covered. Now that cryptocurrencies are gaining popularity and gaining widespread attention, more MLMs will appear – you may even know some people involved in them. Before you consider jumping in, do your own research and remain vigilant. ICO is a play on the concept of the IPO (initial public offering). An initial public offering occurs when a startup company wants to raise funds to grow, so shares in the company are created/offered in exchange for investment. With an ICO, you are not purchasing shares in the crypto company itself, you are purchasing the coins or tokens which it has created. These tokens can have many purposes: some are used in their technology to pay for things (from characters or upgrades in a crypto based game to a crypto based rewards program), or they could be coins which are destined to be listed on exchanges and can be traded or spent on goods or services with traditional vendors. The ICO stage, much like an IPO, usually offers these tokens at a price expected to be much lower than it will be when the company allows access to them for everybody else. So speculating via ICOs has become a common and profitable strategy for some investors. The team – are they known, respected, experienced people with relevant skills and recent successes? Usually consisting of a development team, advisors, CTO and marketing team. The utility of their proposition – are they creating something new and useful or just jumping on the crypto bandwagon in an attempt to make some quick money? The stage of their project – is it just an idea and a white paper, a proof of concept, or do they have a live deployment with actual customers already using their technology? You should always do your own research into an ICO and not just jump into something on the recommendation of a friend or others who are raving about it online. CryptoCurrency Tutorial – 5 What Are Cryptocurrencies Used For? A lot of people ask me whether cryptocurrencies are just toy money or whether they actually hold any value. The true test of the value of any currency is its buying power. So, once you own some crypto, what can you do with it? Because of the limited supply of Bitcoin, the more demand for them – the higher the price goes. One of the reasons the price has increased so much is that more people learn about Bitcoin every day, so when they buy Bitcoin and the supply doesn’t increase with demand, the price increases. For this reason some people buy or mine cryptocurrencies for the sole purpose of holding onto them, hoping they appreciate in value over time. Although nowhere near as widespread as credit card acceptance, there are many brick and mortar stores who accept Bitcoin and other cryptocurrencies as payment for goods and services. Online there are many more options to spend your crypto. There are lists of offline and online retailers who accept Bitcoin, a simple google search will provide you with all the information you need. Overstock.com have recently started accepting Bitcoin as payment and this will make them one of the companies to watch in this space. There is a legendary story from 2010 about a developer who bought two pizzas with 10,000 Bitcoin. Back then, Bitcoin was a little known digital currency and it was still in its infancy – at the time of writing, one Bitcoin is worth around 8,500 USD. When Bitcoin was created, it was envisaged that it could be used as digital money – but because of the amazing ability for it to be used to store value (accessible by anywhere without any need for a trusted third party such as a bank or other large organisation) there are now a lot of people buying and holding Bitcoin. This means there is not as much liquidity as there could be, so transaction costs are relatively high for small value transactions. While there are people who will accept Bitcoin as payment for many things, it is difficult to justify purchasing small priced items with Bitcoin. For this reason there are other cryptocurrencies that can handle lots of transactions and have much lower transaction fees which can be used for these smaller purchases. The price of a cryptocurrency can go up as well as down, much like regular currency, stocks and shares. Traders have started taking advantage of the fluctuations in value of cryptocurrencies and have begun trading them in the same way. A whole industry has grown around crypto trading, with trading platforms, apps and websites being launched to take advantage of this relatively new opportunity. CryptoCurrency Tutorial – 4 How Do Cryptocurrencies Work? If you’ve heard anything about cryptocurrencies, you’ve mostly likely heard about Blockchains. In simple terms, a blockchain is a shared database that is constantly being checked and updated in real time. If you have ever worked in an office and had to share a database, you will know that databases store information. At any time, a user can request information, but to update the information, the database must be locked to prevent the same information being updated at the same time. Without this locking mechanism, you could be editing a customer’s invoice while somebody from the sales department is editing the same customer’s information – this causes a conflict and somebody’s edits aren’t going to appear in the database, or worse, the whole database could be corrupted. This might work on a small scale when only a small amount of information needs to be recorded and edited at a time, such as in an office, but it becomes cumbersome as the database gets bigger. The time taken to lock, edit and unlock a database causes delays which would cause huge problems when recording worldwide transactions across the internet. For a cryptocurrency to be a viable payment method, the database needs to be able to handle millions of transactions simultaneously. In the context of cryptocurrency, transactions (e.g. Payments) are recorded and do not need to be updated later, similar to how an accountant or a bookkeeper records payments in and out of a business in a ledger. Once a transaction has been verified, it will never need to be updated again so it gets added to the ledger as a permanent record of who paid who and how much was sent. Transactions are combined into blocks of information, once a block has reached a predetermined size, it is added to the end of a chain of previously created blocks – hence the name blockchain. The blockchain database is not stored on one central computer or server on the network, it is distributed across many different computers called nodes. Each node keeps a copy of the blockchain database, then when a new block is created it is added to the end and the updated blockchain is distributed across the network. The public nature and shared distribution of the blockchain ensures its integrity. If one instance of the data gets corrupted or someone attempts to alter it, the data can be tested against known good versions. This is done by hashing. Hashing is a cryptographic method where data is passed through an algorithm and converted to a string of binary digits (represented by zeros and ones) of a fixed length, this string is called a hash. The conversion masks the original data. Hashing is used to protect your password when it is sent through the internet to log in to a website, it is also used to prevent your credit card number being exposed when you buy something online. One major benefit of hashing is that any change in the input data would result in a different output hash, so it is easy to identify whether the data has been corrupted or altered. A part of each block in the blockchain contains the hash of the previous block. In a sense, a blockchain is the perfect database – it is secure, incorruptible and can handle an unlimited amount of data. Although Bitcoin was the first, each successive cryptocurrency uses its own implementation of blockchain technology to record and secure transactions. However, blockchain technology is used for more than cryptocurrency: computer scientists are exploring new ways to use blockchain technology which we will discuss in a later chapter. One of the most fascinating areas of cryptocurrencies is mining. When people think about mining, the obvious images that spring to mind are prospectors digging through torchlit tunnels with pickaxes collecting nuggets of gold. In a sense, crypto mining does bear some similarities but some explanation is needed. To join a crypto network and ‘mine’ cryptocurrency, you must download a piece of software which runs on your computer while you are connected to the internet. Your computer becomes a node on the network and receives information about the current blockchain and new transactions. When a transaction takes place, the sender agrees to send X Bitcoin to the recipient. The network checks whether the sender has enough Bitcoin in their digital wallet, if so, the Bitcoin are then deducted from the sender’s wallet and added to the recipient’s wallet. Transactions are broadcast over the network and collected into blocks. Each block must be checked and verified by multiple nodes before it can be added to the blockchain – this ensures the system cannot be gamed by a person sending the same money twice (known as double payment) or by injecting fake transactions into a block. To guarantee enough nodes are available on the network and keep the blockchain running, it is important that people have a reason to leave their computers connected to the network verifying transactions and adding them to the blockchain. When he created Bitcoin, Satoshi Nakamoto understood this problem and decided to offer an incentive. For every block added to the blockchain, the node which added it will receive some Bitcoin as payment – this is the ‘block reward’. Of course, this leaves the question – who gets to add the block? Let’s say for simplicity there are 100 nodes on the network, 98 of them receive a block containing identical transactions and 2 nodes receive corrupted data. Those two nodes cannot possibly add their block to the blockchain because all the other nodes have data which contradicts them. However, this leaves 98 nodes with correct data that could be added to the blockchain. The Bitcoin software requires nodes to solve a complex mathematical problem and add it to the block before it can be added to the blockchain. The first node to solve the problem and claim the solution as theirs gets to add the block and receive the reward. Once the problem is solved, the process is repeated with the next block. This is known as mining. Each time a block is added to the blockchain, the node which solves the problem and adds it receives some newly released Bitcoin. Bitcoin are released approximately every ten minutes, and at the time of writing, the payment for successfully mining a block is 12.5 Bitcoin. Only 21 million Bitcoin will ever be released, of which, more than 16 million have been mined so far. You might assume that the total allocation of Bitcoin will run out very soon, however the system protects against that and the total allocation of Bitcoin isn’t expected to happen until the year 2140. Firstly, although the number of Bitcoin earned per block is currently 12.5, it started out as 50. For every 210,000 blocks mined, the number of Bitcoin earned is halved – this happens approximately every four years and is expected to happen next in 2020. Although this may seem like successful miners are receiving less for their efforts, it is expected that the value of Bitcoin will increase over time. Secondly, the network is designed to release new Bitcoin (12.5 of them) every 10 minutes. As more nodes are added to the network and computers become more efficient at solving the mathematical problems, the system increases the difficulty of the problems it sets. So, if on average it began to take only 9 minutes to mine a block, the system would increase the difficulty to ensure blocks would take longer to mine – whereas if the difficulty then causes blocks to be mined slower than 10 minutes, the difficulty would be reduced. As more nodes are added to the network and the difficulty of mining increases, the probability of successfully mining a Bitcoin block decreases. Due to the popularity and potential profit of Bitcoin mining, specialist mining equipment has been created that can perform many more calculations per second than a standard home computer. Some companies buy hundreds and thousands of these and run them 24 hours per day. For this reason, many home computers are no longer viable for mining Bitcoin and have switched to mining other cryptocurrencies such as Ethereum and Litecoin. Crypto mining is still a very interesting and potentially profitable activity, far beyond the scope of this report. If you are interested in learning more about it, I have spent years learning everything I can about the subject while building GPU mining rigs and for many currencies and will shortly be releasing another report which dives much deeper into the subject. If you have ever travelled abroad and converted your money from your home currency to the local currency, you will have used a currency exchange. Most currency exchanges buy your currency and sell you another currency at a published rate, then charge you a fee on top for the conversion. cryptocurrency exchanges work in the same way. Each cryptocurrency exchange (or digital currency exchange) works differently, so it is important to understand how your chosen exchange works. Some exchanges allow you to convert your digital currency into conventional fiat money (local currency that you can withdraw from an ATM) and transfer it to your own bank account while others allow you to convert from one cryptocurrency to another. Some exchanges match buyers with sellers and take a small commission on top, while others act more like a traditional currency exchange. Always do your research, spend some time getting to know the reputation of an exchange before you commit to using it and, ideally, speak to others who have used the exchange and ask about their experiences. Although the risks are relatively small, most exchanges are not regulated by financial institutions or local governments, which means that if an exchange went bust, money you haven’t transferred to your own bank could be lost. Cases like this are rare, but this did happen in the past with Mt. Gox. CryptoCurrency Tutorial – 3 What Is A Cryptocurrency? Now you know a little theory behind the why, the rest of the information in this report will be easier to digest. We will now take a look at what a cryptocurrency is, and what role they fill in the real world. What actually is a cryptocurrency? Cryptocurrency is a contraction of two words, cryptography and currency. Cryptography is defined as the art of writing or solving codes. If you ever created secret messages as a child using a code wheel or made up your own code, you were using cryptography. You may have heard of Alan Turing and the code-breakers at Bletchley Park who created the Enigma machine to crack secret messages sent by the Nazis during WWII and gain an advantage in key battles. If you’ve ever used internet banking or credit cards online, cryptography is used to secure your information. No doubt you already know what currency is, and a cryptocurrency is in most cases a digital, virtual currency which uses cryptography to secure transactions. Of all the crypto coins and tokens available, some get most of the attention and publicity. Of course, Bitcoin has the advantage of being the first and most widely adopted: other coins were created to address opportunities that their developers felt were missing from the Bitcoin platform. Here is a quick description of six of the most talked about coins. Bitcoin – This is the original cryptocurrency created by Satoshi Nakamoto. Being the first, it is the most widely adopted and is the cryptocurrency that gets most of the publicity on news channels. Bitcoin is open source, meaning that the code is available to all – this allows developers to suggest improvements. If the community accept the improvements, they get added to the code base and Bitcoin evolves. Bitcoin Cash – Created in August 2017, Bitcoin Cash is a fork of the original Bitcoin protocol. Some developers believed that improvements could be made to the way Bitcoin handles transactions, for example increasing the block size to speed up transaction times and decrease delays. Changes to the original Bitcoin code require consensus from the other developers, consensus has not been reached on this increased block size so an alternative code base and blockchain were created, this alternative is called a ‘fork’ because it goes in a new direction. Bitcoin Gold – Created in October 2017, Bitcoin Gold is another fork of the original Bitcoin protocol. It is seen as a competitor to Bitcoin Cash and uses a different mining method that makes it more difficult for larger commercial miners to mine the cryptocurrency using ASICs – Bitcoin Gold’s developers want to make it more profitable for users to mine using their home based PCs in the way they could in the early days of Bitcoin. Ethereum – Ethereum was created by Vitalik Buterin, co-founder of Bitcoin Magazine. He saw an opportunity to take blockchain technology beyond online payments and created a platform that allowed developers to create other decentralised applications. In a little over 2 years, Ethereum has grown to become the second largest cryptocurrency behind Bitcoin. Once Bitcoin mining became unprofitable for the casual miner, Ethereum became the next big mining opportunity which led to it getting a lot of press and attention on the internet. Ripple – While Bitcoin and most other cryptocurrencies release their coins and tokens over time by being mined, Ripple’s currency does not get mined – all the coins were created first, with some of them released into circulation and the rest being owned by Ripple itself. Like Bitcoin, Ripple uses blockchain technology, however transaction times are much shorter than Bitcoin’s because mining isn’t a requirement for verifying and adding transactions to the blockchain. Many financial institutions have an interest in Ripple as it is a more centralised blockchain. As Ripple is a centralised crypto mainly for use by banks many core crypto enthusiasts don’t consider it a ‘proper’ crypto, but as we all know the banks will definitely want their skin in the crypto game, Ripple stands a good chance of lasting over the longer term. Litecoin – Litecoin is another Bitcoin fork which many people consider to be the silver to Bitcoin’s gold. While Bitcoin blocks are mined at the rate of one every ten minutes, Litecoin is mined every 2.5 minutes. The Bitcoin protocol allows 21 million Bitcoin to be mined into existence, with Litecoin, this number is increased to 84 million. Litecoin serves as a great test network for changes that could be applied to Bitcoin and so serves a useful purpose apart from for its own sake. Some of these coins were created to be mined by ASICs, while some are specifically created to be mined by individuals from their home computers using the processing power of their graphics card (GPU). Once you’ve spent any time on the cryptocurrency scene you will quickly find that in some respects altcoins are like football teams – each one has its supporters and fanatics. This means that almost no matter what the actual utility or technology an altcoin has behind it, there will be some fanatical people running around the forums and on social media hyping it up, saying “it’s going to the moon, jump on board now so you don’t miss out”, “this coin is the next Bitcoin but better”, “Mr X is advising this team so they’ll definitely 100x their price this year” etc. When this happens, you will see altcoins that have very flimsy propositions getting way more money thrown at them than they otherwise would, as misinformation and fanatical supporters lead others to believe that ‘this one is special’. This means that people who are new to crypto are jumping in and buying things they don’t understand on the basis that they heard someone say ‘it was a sure thing to get crazy price increases this year’. With this kind of mania in the industry, it causes the general crypto information noise floor to be raised and due to this some of the crypto marketers feel they have to set increased expectations about what their coin will do and when. For this reason, it is very important that you become comfortable doing your own research so you can see for yourself whether there is something behind the chatter. This will tell you whether a particular cryptocurrency is a solid long-term proposition, with a good team and a solid community of people that believe in it who won’t bail out on the coin if/when the price drops. There are more than a thousand crypto coins, far too many for most of them to be long-term successes. While the rising tide of Bitcoin has carried many altcoins up, when the tide turns, the main factors that determine whether a coin will last will be the vision and strength of the team behind it and the reality of the coin’s value. If you look at Bitcoin and Ethereum, the current top two coins, you will see that neither are making as much noise about all the work they are doing, but both have a huge community of people that really believe in their long-term value and purpose. In short, expect there to be a lot of hype surrounding altcoins – many people look at what happened in 2017 with the huge price increases of Bitcoin and assume the same will happen in future with other smaller coins. I’ve lost count of the number of people who have told me “there is nothing backing Bitcoin and therefore it has no ‘real’ value, so any current price is a bubble”. I completely understand the confusion, many of those people have heard those concerns elsewhere and are simply repeating what they’ve learned. There is no company behind Bitcoin. The creator released the code and plan for Bitcoin into the world as open source, this means that anyone can see, copy and develop the code further, which is exactly what has happened since its inception. Instead of a company that controls it, there is a community of developers, miners and investors who make up the system and for changes to the system to occur they must reach a consensus (agreement) before they can make them. This was always the plan behind Bitcoin – Satoshi Nakamoto wanted to create a community-driven system with no central control so no bank, company or government could take control away from the community. This anonymous, distributed, censorship-resistant technology has been around for many years, gathering a large group of core developers and a loyal community. As time passes, the system evolves, improves and becomes more robust, more secure and harder to attack. With this comes value. Network effect is another driver of the value of a cryptocurrency. The more people who get Bitcoin, the more value it has. Just like buying the first mobile phone – every new mobile phone owner and user makes the earlier one(s) more useful and therefore valuable. So as more people buy into the idea of Bitcoin, more people will accept it as payment, more people will invest in it and develop for it – as the network grows, the value grows with it. Bitcoin is seen as the standard for a solid/safe store of value due to the security of its blockchain, its limited supply, its long term stability and its decentralisation. Other cryptocurrencies use different models and different consensus schemes, some have extra features or scalability, but are less secure and less distributed. As these other cryptocurrencies adapt and evolve, their adoption may increase along with their perceived value. When you start watching the prices of cryptocurrencies, you will see some generic things that affect price – such as being newly listed on a popular exchange. When a cryptocurrency is newly listed on an exchange, the potential audience increases – in turn, some of those will be able to access the digital currency more easily and may invest in it: this influences the price. A brief history of cryptocurrencies. In this chapter, I’d like to set the scene and give you some context. Before we get to the what and the how, I think it’s important to know the why – so we’re going to take a quick look at the landscape before cryptocurrencies. Why do we need cryptocurrencies? Bitcoin, the world’s first cryptocurrency was launched in 2008 by Satoshi Nakamoto, a talented computer programmer who used a real sounding pseudonym to guard his privacy. Nakamoto wrote a white-paper outlining his reasons for creating Bitcoin and published it online. In a nutshell, Nakamoto believed that the current system of owning and transferring money was inefficient, expensive and carried with it a high risk. In an ideal world, a transaction between two people would only involve two people – the sender and the receiver. Here’s a good example of this kind of transaction: If you purchase goods from a retailer and you pay them cash – the retailer keeps 100% of the money and does not pay a transaction fee. Cash, however, is risky – it can be lost, it can be stolen, it can also be damaged in a fire, flood or accident, which obviously Bitcoin cannot. There are other ways to pay: cheque, credit card, bank transfer, direct debit etc. Each of these involves a trusted third party – the third party is usually a bank, lender or payment processor. If we go back to our earlier example, when we use a credit card or cheque to buy goods, the retailer pays a transaction fee to the third party – meaning they receive less money for the same goods. Nowadays, many of our purchases are made online and sometimes overseas – in these instances, cash becomes unviable and we have to find alternative means of payment. You may be familiar with PayPal. Sending money through PayPal is free for the sender, however, the receiver often pays a small flat fee plus a percentage of the total transaction – if you pay someone in another country, currency conversion fees also apply. If you’ve ever sent money by Western Union, you’ll know that fees can be as much as 10%. International credit card fees are often high, and you will also have to pay conversion fees. In other words, involving a third party in the transaction can introduce high fees. Bank transfers and cheque payments can often take days, sometimes weeks when making international payments. This is a highly inefficient system. If you cast your mind back to 2008, you may remember the world was in the middle of a financial crisis. I won’t go into too much detail here, but many people lost their trust in the banking system. In some countries, the government had to borrow heavily and ‘cut back’ on essential services such as police, schools and hospitals. In others, citizens who had money saved in their accounts had it confiscated – all to bail out the banks. Ultimately, money is built on trust. When you have money, you trust it holds value which you can exchange for goods and services. In most circumstances, we trust a financial institution to look after our money and ensure it is available when we need it. When we pay for a product or service, we trust we will receive what we pay for. For many people, the trust was broken. Nakamoto created Bitcoin to address all these issues. Essentially, Bitcoin was designed as a process to make secure payments between a sender and a receiver without involving a third party. In creating Bitcoin, Nakamoto had created a way of paying people anywhere in the world quickly, cheaply and securely – some see Bitcoin as the next best thing to cash. What made cryptocurrencies possible, and how did it all come together? Every new, ground-breaking technology seems to come from nowhere – it appears to have been conjured out of the mind of a genius and sent into the world to change it forever. Once a new technology changes our way of life it becomes almost impossible to live without, and we begin to take it for granted. The reality of discovery is rarely as simple as a single Eureka moment. What seems obvious in hindsight is often a long process which grows with each iteration. Ideas build upon ideas, somebody discovers a connection between two unrelated ideas and something new is created. Isaac Newton recognised this when he said “If I have seen further, it is by standing on the shoulders of giants”. Philosophers and scientists had already discovered many of the principles behind his theory of gravity, Newton happened to be the one who connected the dots. Take computers for example. Think of everything that had to be in place before even the simplest computer could be assembled. Without electricity, transistors, microchips, mathematics and a whole spectrum of other scientific discoveries computers couldn’t have been created. Once a discovery is made, others begin to understand the implications, they look at it from all angles and see how it can be applied. This is exactly how Satoshi Nakamoto created Bitcoin, the first cryptocurrency. Long before Bitcoin, various computer scientists had thought of ways to create a secure digital currency. Anonymity has always been one of their key concerns: without any form of protection, every purchase you make can be linked to you. In most Western countries this isn’t thought of as a problem (at present), however owning certain things in some countries is against the law and can even lead to imprisonment or worse. Even in Western countries, there is a small risk that a government or third party can view your transactions and make assumptions about your intentions. What if your government was overthrown by a dictatorship? Your privacy would then become a huge concern to you. In 1983, David Chaum came up with an idea for Ecash, an electronic cash system which would allow anonymous payments to take place using cryptography to secure transactions. In 1990, David Chaum put his Ecash system to use when he started a company called DigiCash. It gained some traction before it was bought out by a credit card issuer then dissolved in 1998. Hashcash was created originally as a method to combat spam email. One of the reasons spam is so prolific is that it is relatively cheap to send email in bulk. Hashcash aimed to solve this issue by requiring the sender to perform a complex calculation to create a ‘stamp’ which is added to the header of the email, the concept being called “proof of work”. The sender’s computer must do the work necessary to create the stamp, then proving it has done so by adding it to the email header. The software on the receiver’s computer tests whether the stamp is valid and filters it appropriately. The stamp itself took around a second to create using a normal desktop computer at the time. For spammers, one second per email becomes very costly when sending millions of emails per day. In 1998, a new system for distributed electronic cash was thought up by a computer scientist called Wei Dai. He published his solution online and called it b-money. Nick Szabo followed this up by creating Bit Gold, a decentralised digital currency which used proof of work to verify transactions. Neither system was implemented, but Bit Gold is thought to be a precursor to Bitcoin. In 1999, Napster was released and changed the music industry forever. You may not think this has any relevance to online payments and cryptocurrencies, but this is a good example of how ideas from different areas can be combined with others. Before Napster, anybody wanting to share music with others had to email it directly, copy it to a CD or upload it to a server on the internet. If you think of a server like the hub of a wheel, each spoke would be connected to a computer (or client) downloading files. This is known as a centralised system. In a centralised system, everybody relies on access to the hub – if it develops a fault, is shut down or hacked, the system fails. Peer-to-peer networking does not rely on a central server. With Napster, each user on the network listed the music files they wanted to share. To download music, you would perform a search, and if at least one computer (or node) on the network had the song you were looking for, the software would connect you to the node and download it. If any single node leaves the network, for example when a computer is switched off, some particular files may not be available but the network continues to work. Napster brought peer-to-peer networking into the mainstream. In 2008, Satoshi Nakamoto published his Bitcoin white paper. In it he describes a peer-to-peer system where transactions take place between two people without a third party, they are verified before being recorded on a public distributed ledger (a blockchain). Unlike Wei Dai and Szabo, Nakamoto turned his theory into a viable working system and launched it. Incidentally, Wei Dai and Nick Szabo have been thought to be the real Satoshi Nakamoto, but both have denied this. Understanding what a cryptocurrency is. I’m going to address these issues and more. This report will give you more than a basic understanding so you can join in the conversation and make intelligent choices. I have been studying and learning about cryptocurrencies for years; there is always something new to learn and the subject can become very technical. In my experience, the best way to learn any topic is to start with an introduction, learn the basics, then keep digging. In writing this I made a conscious decision to keep it simple – I’ve created this guide as a starting block which you can use to get a good understanding of the crypto landscape as a whole. From there, when you want to delve deeper, you will have a solid base of knowledge to do it from. Who am I, and what do I know about Crypto? My name is Andy Henry and I’ve been learning about cryptocurrencies and the technology surrounding them since 2011 when I was looking into Bitcoin and the ability to mine it with a normal gaming PC, and as a gamer and Techie I thought I’d see what it was all about. Bitcoin was relatively new back then and hardly anyone was talking about it so I downloaded a software wallet and set my PC mining. Pretty quickly it became obvious that the PC itself was not going to mine much and the technology had moved on to requiring ASICs (Application Specific Integrated Circuits – designed specifically to mine Bitcoin), so I checked out what was available and did some mining tests using little USB ASICs. I plugged about a dozen of them in via a USB hub and left them mining for me. At the time the few Bitcoin that I had mined weren’t worth much and companies were coming out with bigger ASIC devices that were selling for between £20k and £30k each. One such device was a ButterflyLabs ASIC miner and they were in such demand that when I looked at ordering one there was already a delay of several months before receiving it. As the hardware was developing quickly, by the time it would have arrived it would barely be profitable, so I stopped mining at that point. In hindsight it would actually still have made a lot of sense, because even making a small loss at that time would have accumulated some Bitcoin which – with the crazy price increases – would still have definitely been worth it. I eventually sold my Bitcoin a while later when it reached £50 thinking I had made such a great return that my efforts had been worthwhile. I think I still have an old PC somewhere that has some mined Bitcoin from those years which I’ll have to dig out and check. One of the things I love most about learning is that I get to share my knowledge with others who want to learn. So as a lifelong techie, Internet marketer, a currency trader and an investor, I was naturally interested in all the aspects of crypto and am now an avid crypto enthusiast, investor, crypto miner and speaker. When I talk to people I meet so many that don’t yet have enough basic knowledge to have much of a conversation about the deep crypto info, and I often get asked “do you have something I can read that will get me started?” – This report is the answer to that question.